● Coupon discounts are typically for 10-20% off your purchase, with varying requirements. Some apply only to certain products or item categories, others require minimum purchase amounts, and others are applicable to all items sitewide. ● Sears Parts Direct has a Guaranteed Fit policy allowing you to return or exchange your order within 90 days of purchase. If you want to return an item, you must fill out a Return Authorization available on the Sears Parts Direct website. ● If you reorder a water filter from Sears, you can qualify for free shipping on your purchase. ● If you are ordering on behalf of a business, you can get special pricing on your order and easy reordering if you sign up for a Sears Commercial Parts business account. 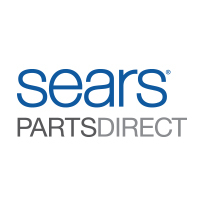 Buying appliances through Sears means that you have the ability to buy parts and accessories online through Sears Parts Direct. Instead of having to wait for the repairperson to order the right parts for you, you can order them yourself. On their website you can look through their filters, manuals, get help with your DIY repair, and track your order and returns. There are 3 main sections that you can use to find the items that you need: model finder, part finder, and shop parts. All you will have to do is input information about the appliance that you want to repair (model number, part number, product type) and the website will generate a list of items for you. For most up to date offers check out Sears Parts Direct on Facebook and Twitter or contact Sears Parts Direct Support for any questions.